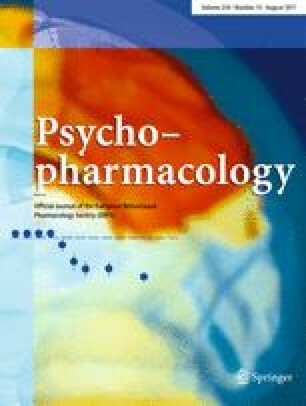 Action of enpiprazole on emotional behavior elicited by hypothalamic stimulation in rats and cats was investigated and comparisons were made with effects of diazepam. Two behavioral patterns were elicited by stimulation of the postero-medial part of the hypothalamus in rats: a food-carrying response beginning with exploratory movement and an analogue of fear. Enpiprazole frequently changed the food-carrying response into food-taking response and occasionally analogues of fear into food-carrying and/or food-taking responses. Thresholds for these behaviors were also elevated. Diazepam showed the same effects on the thresholds as enpiprazole, having but little effect on the behavioral patterns. In cats, enpiprazole elevated the thresholds for affective-defensive responses induced by hypothalamic stimulation in 6 of 8 cases, but lowered them in 2 cases. This suggests that enpiprazole has a ‘biphasic effect’ in the central nervous system. By contrast, diazepam consistently elevated thresholds. Comparing the action of enpiprazole with that of diazepam it can be presumed that the former is a different type of anxiolytic drug than the latter.